The Goodwood Festival of Speed is going on right now at the Goodwood House in Sussex, England. 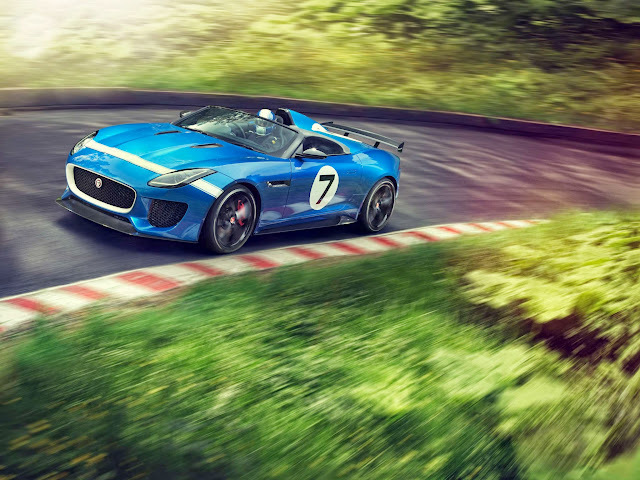 Being on their home turf and within spitting distance of their headquarters, Jaguar is bringing their latest leaping cats to the party, the 550 horse breathtaking F-Type-based, D-Type-inspired Project 7 Concept and the 850 horse hybrid technological beast, the C-X75. There are plenty of specs and pics in the gallery. Enjoy! 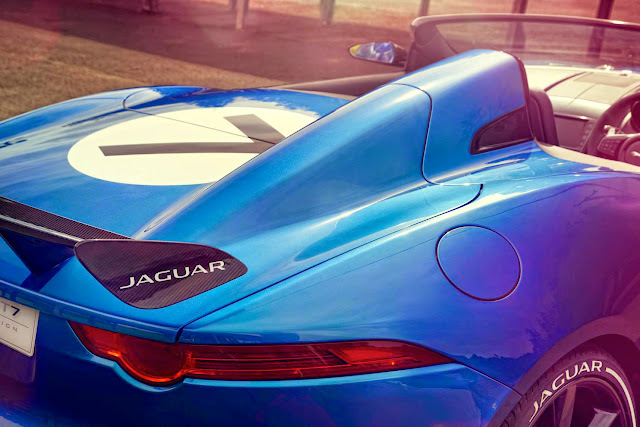 The Jaguar C-X75 is an ultra-efficient hybrid supercar. It can emit less than 89g/km of CO2 and has a pure electric vehicle range of 60km. The C-X75 can hit 100mph from standstill in less than six seconds and has a top speed of 220mph. Its 502bhp, 1.6-litre turbocharged and supercharged four-cylinder engine is one of the world’s highest specific power output powerplants at 313bhp per litre. The C-X75 has two electric motors to contribute an additional 390bhp, for a combined output in excess of 850bhp. 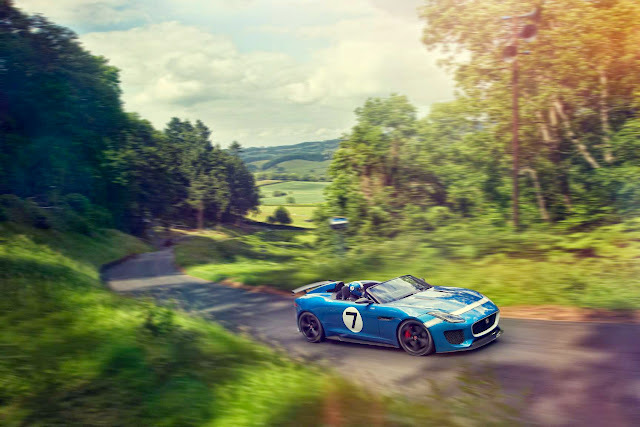 The Jaguar Project 7 concept will make a dynamic debut at the 2013 Goodwood Festival of Speed on July 12. This concept vehicle is based on the 2014 Jaguar F-TYPE, an all-new, two-seat convertible sports car and winner of the 2013 ‘World Car Design of the Year’ award. Project 7’s name acknowledges Jaguar’s winning of Le Mans seven times between 1951-1990, and its blue paintwork is reminiscent of the victorious Jaguar D-type cars of 1956/1957. 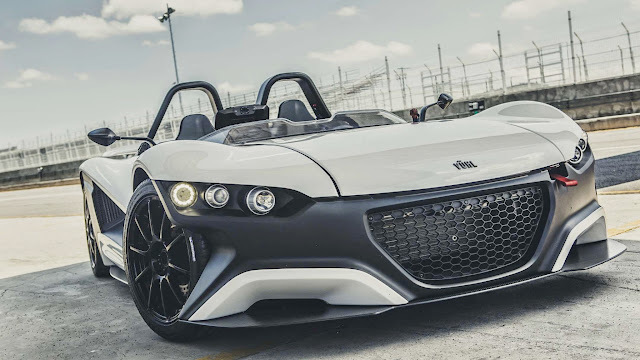 Project 7 is not a static concept, but a fully-functional, high-performance sports car. 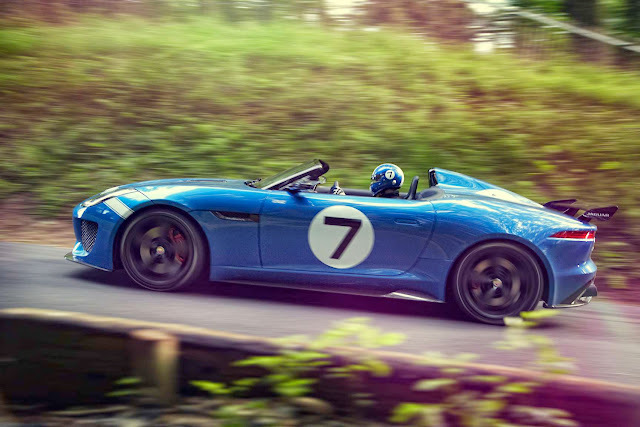 The F-TYPE’s rigid all-aluminum architecture provides the perfect starting point, with power supplied by a 550hp supercharged 5-liter Jaguar V8 engine. 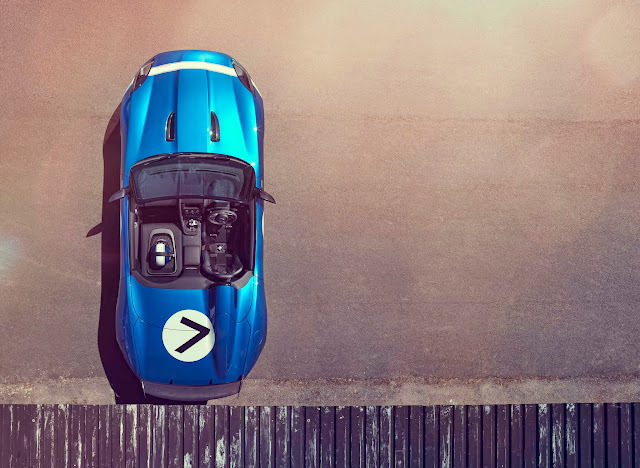 This power is delivered to the rear wheels through an eight-speed ZF transmission with “Quickshift” technology, and an active electronically controlled limited slip differential. Project 7 also features a free-flow exhaust system with a ceramic finish, 10mm lower ride height and a custom-calibrated spring/damper tune. 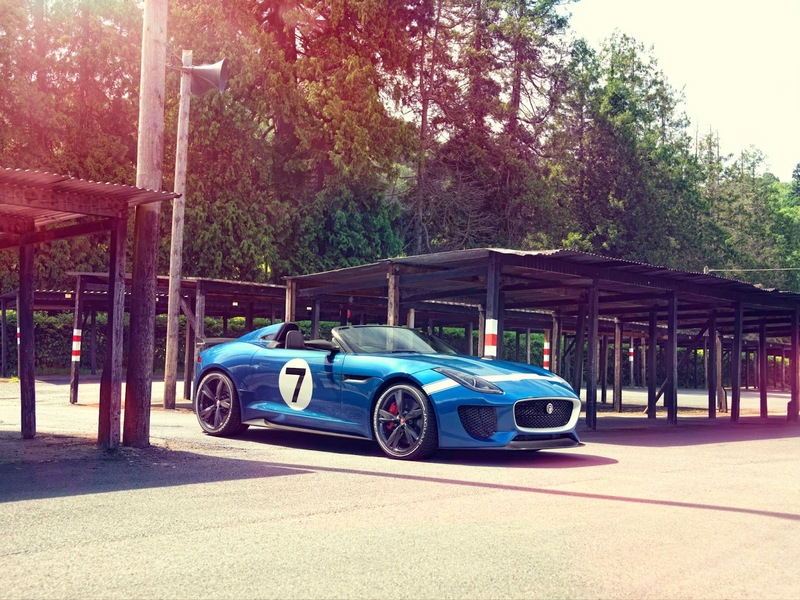 Bringing to bear his love for cars and motorsport, his passion for Jaguar’s heritage, and his familiarity with the F-TYPE, Pieri drew a single-seat sports car with a swooping profile, cut-down windscreen and race-inspired livery. The F-TYPE’s two key design ‘heartlines’ remain. The most prominent change is the new D-T ype-inspired rear fairing section that incorporates a rollover hoop and swoops down from behind the driver. The convertible top system has been deleted. 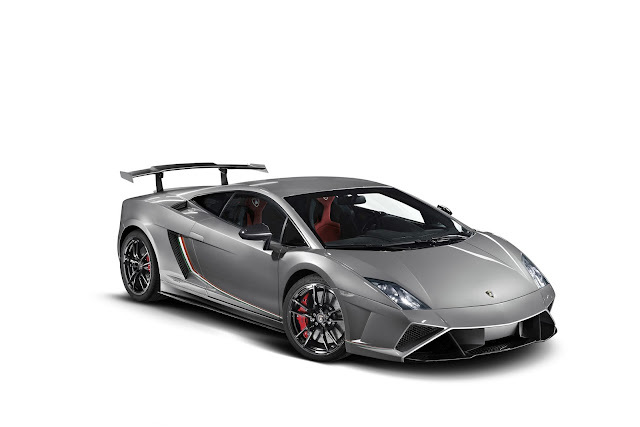 Aerodynamic modifications include a carbon-fiber front air splitter, side skirts, large rear diffuser and a fixed rear spoiler with a 14-degree angle of attack, giving Project 7 a low muscular stance. The side louvers and bonnet vents are also carbon-fiber, while the carbon-fiber and aluminum mirrors draw inspiration from those on Jaguar’s C-X16 sports car concept, which inspired the F-TYPE. 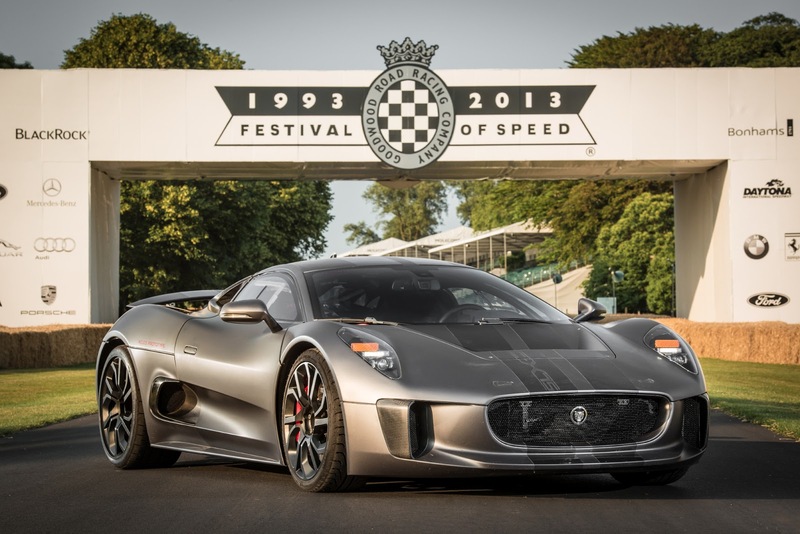 (Whitley, Coventry, 12 July 2013) The Jaguar C-X75 is set to make a surprise public dynamic debut today at Goodwood Festival of Speed. The prototype hypercar, one of only five development and test cars in existence, will make its public dynamic debut in the Michelin Supercar Run today along with a number of exciting new sporting cars from Jaguar: XJR, XFR-S, XKR-S GT and Jaguar Project 7; a unique design study based on the F-TYPE. The Michelin Supercar hill run takes place twice daily throughout the Festival, starting today at approximately 13.00. The Jaguar C-X75 will only be available in front of public eyes at these times, and will not be on static display at any other time throughout the Festival weekend. The C-X75 will make its way from its hidden enclosure to the hill in silent electric-mode before firing up its innovative 1.6-litre, supercharged and turbocharged four-cylinder engine on the start line. 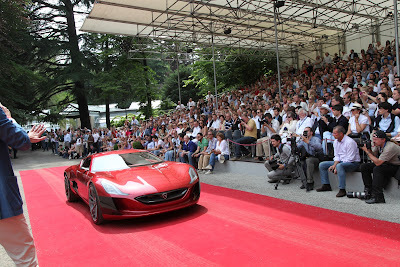 Generating a combined electric and petrol-powered total in excess of 850hp, the all-wheel drive C-X75 is likely to set a blistering pace and generate a purposeful sound as it scorches up the narrow, winding 1.1 mile run, thereby making an impressive and unforgettable dynamic first impression on the Goodwood crowds. Although the decision was taken in 2012 that as a result of the global economic climate the C-X75 would not enter full production, it was clear that it was a powerful showcase for Jaguar’s world-leading expertise in lightweight vehicle construction and the ideal test-bed for the company’s innovative research into high-performance, low-emission powertrains. 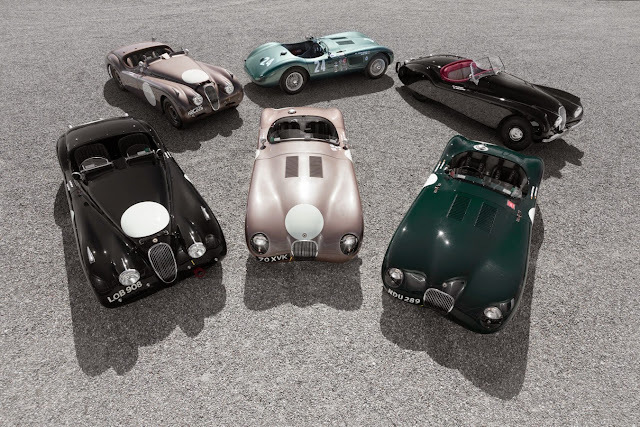 The great achievements in the development of C-X75 prototypes – including cutting-edge hybrid technologies, carbon composite materials and advanced design solutions pioneered in association with Williams Advanced Engineering – will be utilised in other areas of research and development, innovative future products and next-generation engineering for the Jaguar and Land Rover brands.